The best things about being a Wedding Photographer is knowing how meaningful the images will be to you & your family & how much fun wedding days are! I’m driven by emotion & humour & I document it in a candid way. So what does having me as your photographer mean for you? You will feel comfortable with me & you will have guests asking if I am a family friend. You will have my support, guidance & help. I’ll wrangle the family for you, make witty banter, have a bubbles with you, capture the small details & the big moments & even help get the dance floor started if needed to help you celebrate! My approach will suit you if you want the emphasis on the experience, the people, real feelings, joy & love, without contriving or setting up anything fake or cheesy. The best bits are often spontaneous, in the in between & unguarded moments. I do also take the all important portraits & family groups, I actually love them, realise how important they are & pay extra attention to detail with them. If that sounds like you, I’d love for you to look around & send me a message about you & your person! 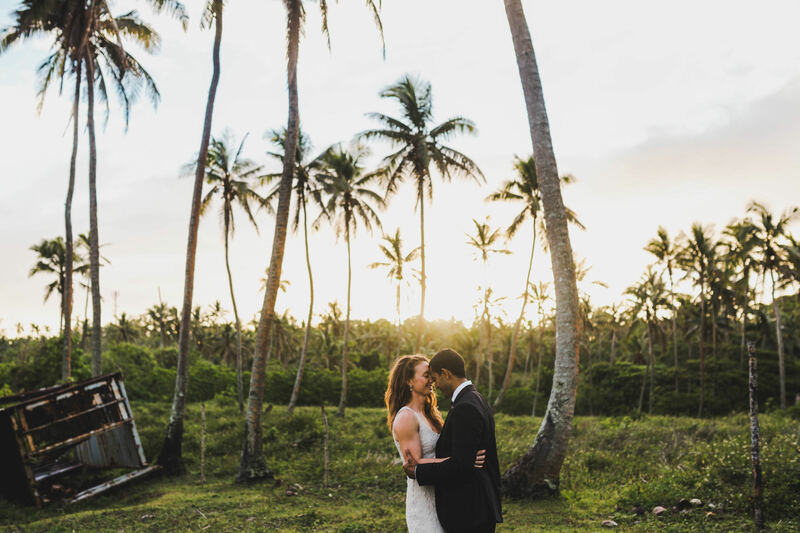 When I think of Anna & Andre’s wonderful wedding, I think firstly of how welcoming and fun they and their families are, all the preparations for the traditional Tongan feast, travelling to Andre’s grandfathers land to take sunset photos amongst the coconut trees, the smell of the Umu, the taste of taro and Lu Pulu, the watermelon drink Otai, heavy tropical rain downpours and diving into the ocean. Their heartwarming ceremony was held on a pier just outside the house and was only interrupted by the sea snake swimming past. I loved documenting this special wedding and of these two families becoming one, and I’m still daydreaming about going back and swimming with whales. 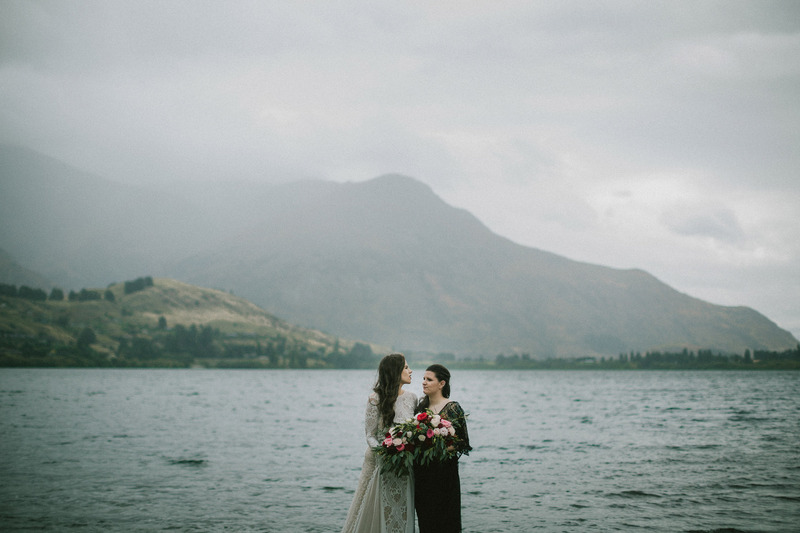 Anita & Kelsey planned a romantic and relaxed wedding with 70 close friends and family at Lake Hayes. Two beautiful women and two beautiful dresses! I felt extremely lucky to witness this wedding and also be in on the secret that they were 11 weeks pregnant and no one else knew! 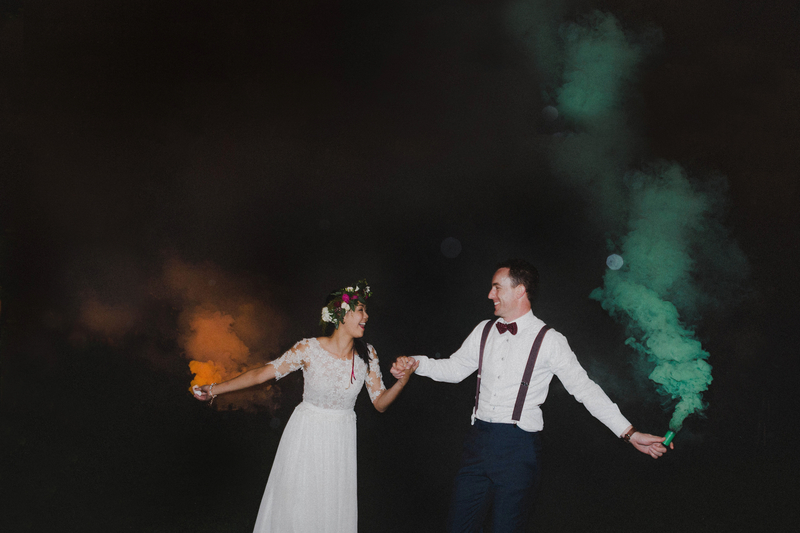 Since their wedding day, Anita & Kelsey have been featured on Grace Loves Lace and also in print in Volume One of Dancing with Her the first Australian magazine of its kind celebrating Women in love. Libby & Tom traveled over from Australia to marry at Wanaka’s Rippon Vineyard, with their closest family and friends. They were the warmest, loveliest group of people who welcomed me like I was part of the group. 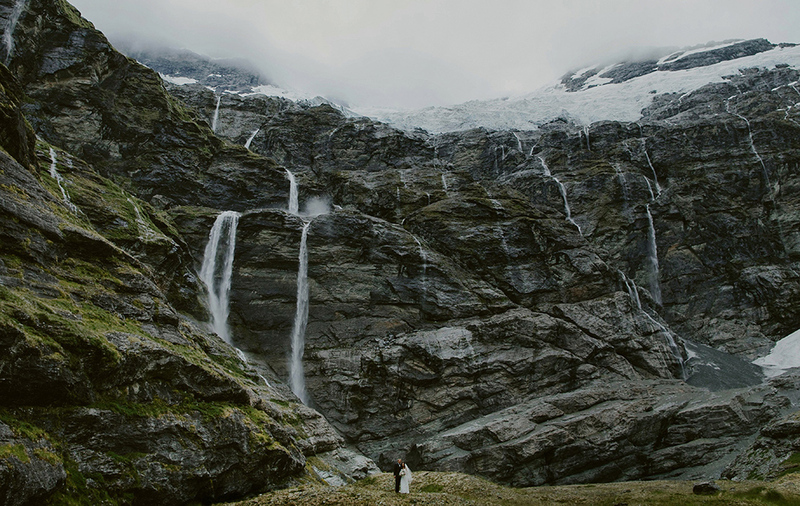 After their ceremony, Libby & Tom surprised everyone when a helicopter arrived to whisk them away for a mountaintop photoshoot with views of Mt Aspiring & the Southern Alps, before landing at Horseshoe Bend for their intimate reception & dinner.